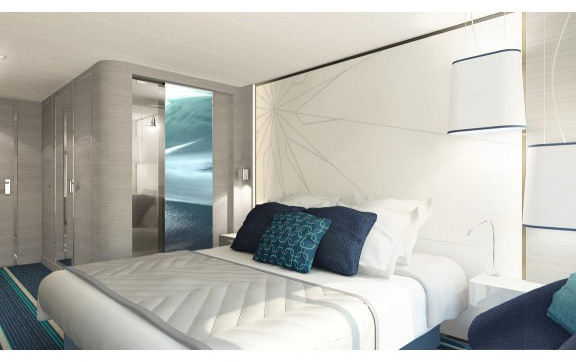 Ponant have been inspired by the destinations visited and decided to create a subtle variation around a palette of blues. Ranging from the luminous delicate grey-blue of the Polar ice to splashes of the vivid turquoise blue found in Mediterranean coves, it also includes the blue light of the future pole star. Elegance and flexibility of the suites and staterooms, decorated by French interior designer Jean-Philippe Nuel. 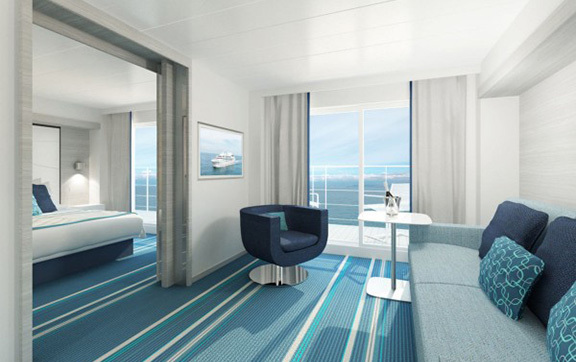 Flexible capacity: from 112 to 122 suites & staterooms. 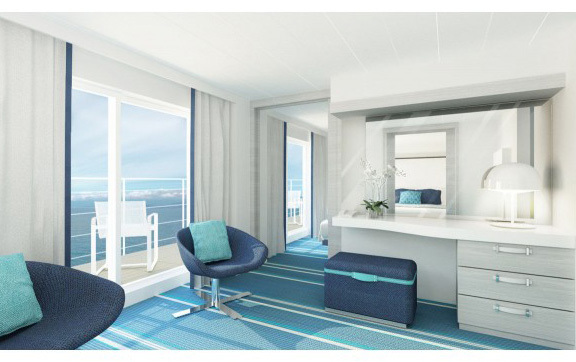 Maximum configuration: 13 suites & 108 staterooms. 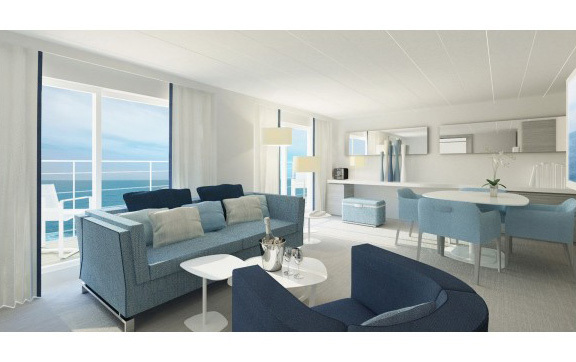 Maximum number of suites configuration: 24 suites & 86 staterooms.